Biography: When not writing, which is most of the time, Kick and Glide likes to cook and drink, especially wine and craft beer. Luckily he also likes cross-country skiing, swimming, and organic gardening. According to him the best things in life are family and friends. His favourite TV series is “The Wire.” Kick and Glide thinks that our most pressing global issue is the question of economic growth and its impact on the environment. We must find a balance. I’ve been watching and musing over Avicii’s video, “Wake Me Up”: http://youtu.be/IcrbM1l_BoI. I like the music and the song and I have gone on to listen to other songs by Aloe Blacc who has a lovely voice, but this particular video left me with a disquieting feeling that won’t go away. That of course is the intent of the video; it also strives to exploit humanity’s millennium fears so we will shop for more stuff that we don’t really need. I found the visual narrative very cynical and manipulative. It sets up the narrative by depicting rural people as plain, grey/beige, and devoid of style. It portrays them as suspicious, prejudicial, scared of outsiders, even hateful. The urban representatives on the other hand, the young girl and her older sister, have a purpose in life, to seek out a group and a place where they belong. They have more colour to their complexions, are made to look more attractive, thanks to better lighting and make-up, and are far better dressed. Avicii uses this clichéd stereotype as a wedge to divide rural from urban at a time when we should be doing the exact opposite. (Unless you fancy eating faux meat grown in a lab.) If the “other” in this video were black, or Jewish, or gay, there would be hell to pay, but rural folk, the new minority, seem to be fair game to elite urban marketers. 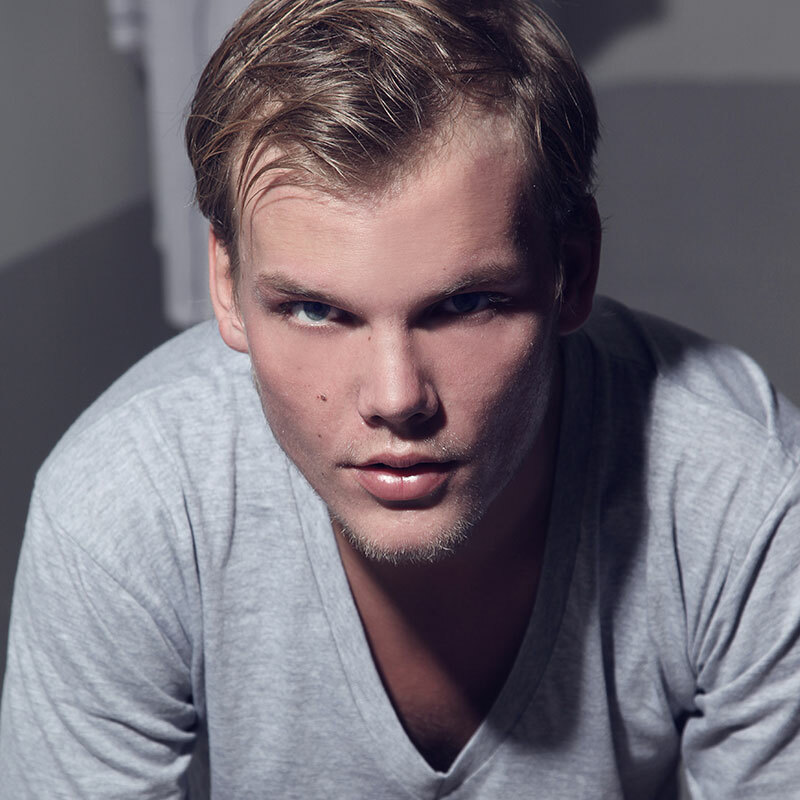 My name is Avicii and I want you join my brand. 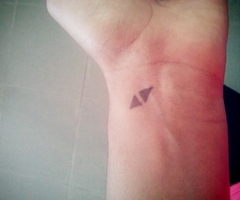 Far more problematic for me is how they use the Avicii logo, the two inverted triangles, to sell Brand Avicci, by putting it on the skin of people, including children, in the form of a Henna tattoo. Yes, Henna does wash off, nevertheless, this is in fact the commodification of the individual, of young people, and by extension a particular demographic, to promote Avicii’s corporate brand which they have already successfully marketed to larger corporations like Coca Cola. I have no objections to the use of tattoos as individual expression, but when they are used to create group identity, then exploited to sell product, I find that socially problematic. 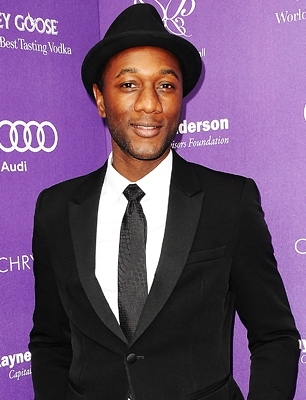 Aloe Blacc provides the hook. Continuing with the visual narrative (which has nothing to do with the song) the two actors in the video, representing a young hip urban demographic, using the identifying henna “mark”, find their tribe and join them at a modern stadium concert. Keeping in mind the above analysis, this concert takes on the dimensions of a mass rally with implications that go beyond music, fun and dance. It is ironic, and not entirely coincidental, that the woman in the video is wearing a military style jacket. So far they are only selling consumer goods, but it doesn’t take a lot of imagination to see how this captured market can be used to sell ideas, including city=good / country=bad, young=good / old=bad. These simplistic dichotomies copy a trend in current politics that says you are either with us or you are against us. I keeping thinking of a prairie farmer in her $250,000.00 combine, tracking the commodity prices for wheat on her tablet. Where does she fit into Avicii’s rural stereotype? I repeat, for emphasis, with the world population just shy of 9,000,000,000,000 do you really want to piss-off rural folk? The next time you meet a farmer give her a big hug. Wake me up to what exactly? That as an individual I don’t exist unless I identify with a corporate brand like Avicii? Enjoy the music, but don’t drink the kool-aid. This entry was posted in Uncategorized and tagged ethics, identity by feministfiguregirl. Bookmark the permalink. The irony I see is that country music outsells almost any other genre and country music videos never cease to romanticize rural life. Almost every food ad we see romanticizes rural life. And how many more songs do we need to hear about pickup trucks rolling down dusty roads?! I don’t see accurate representation of rural life anywhere really. This video might as well be an ad for Ralph Lauren. Gag. The townsfolk in this video look anachronistic – styled to look as though they stepped out of the 1930s. That was the most interesting “artsy” detail I noticed. I too would love to encounter a fuller picture of rural life, in all of its diversity. This video made me think of “The Last Picture Show,” one of my favourite films ever. I think that it conveys the frustrations of small-town life without either belittling or romanticizing the rural. Does anyone have suggestions about better images of rural life or how these representations differ cross-culturally? Second is that political dichotomy, the bipartisan politics we see so much of, doesn’t seem to me to be very new at all. Similarly, advertising that breaks people up into two groups – the cool ones consuming whatever, and everybody else – isn’t very new either. So what makes this video/ad different from anything else? As JMS noted, the rural/urban divide is one that marketers have been exploiting quite effectively for decades now. For that matter, it’s one that politicians have been exploiting. Thanks for your comment Mike P. I am going to let “Kick and Glide” respond to your questions since he wrote this post. I will be returning, however, to the question of bipartisan politics in my next post about the Ford Nation. I think there is something specifically anti-intellectual informing this situation and while it might not be new, it is increasing in its scope and intensity in contemporary culture. Wow! What good comments. Now I have to try and explain why I was such a curmudgeon. I must admit that I am very sensitive about issues related to the “brand” and the power of marketing. Most of these brand logo’s are harmless, even fun and there are many I like. Although, I have removed logos sewn onto my clothing. My stuff. You’ll be reassured to learn that I don’t walk around the mall snipping logo’s off of other people’s stuff. I was born right after WW2 and grew up as the stories of the holocaust were revealed in magazine pictures, movie house newsreels and newspapers. As a kid they scared the living crap out of me. There are many other examples of the use of the brand and body marks down through the ages, but we’ll let it go at that. The point here is that the director and staff behind the Avicci video know and fully understand the historic and cultural legacy of using a mark to identify and cull out. They have degrees in this stuff. They are cleverly exploiting both the edginess and the trendiness of the tattoo, using it as a trope, to capture market share. That’s their job and that’s why Avicci hired them. I agree with Mike, they are playing with the idea of counter-culture, albeit one that seems pretty well dressed. For me, the line they have crossed is being overly exploitative. For example, the escape from small town to post-apocalyptic city scape is premature and manipulative. It makes me think they are in the fear business, rather than the music business. They are consciously tapping into the zeitgeist of pending ecological disaster and it is way too soon to throw in the towel on that or any other issue. All we need to do is get together, talk it out, be opened and fair, follow the historic example of the post-apartite truth and reconciliation committee and we’ll muddle through. Or we can get angry, sweat and turn red, dash across the chamber floor knocking people down, shouting you’re going to get even, declare war… The latter behaviour is the end game of political dichotomies. And yes! It isn’t new, it’s trite. The Avicci people let us down by not modelling a better business ethic, (One, for example, like PCL right here in Edmonton) by not presenting a better world view, inclusive and fair. I know that sounds hopelessly naive, especially at my age, but there it is. I was expecting plowback and instead I got wise and informed feedback. I thank you for it; keep it coming. Kick & Glide.